I LOVE MAPS, collaborative maps online to be more specific. Six years ago, I was surprised and thrilled that Real Estate Bubble Maps our clients helped create were awarded the “Best Real Estate Map of 2006,” by Platial, one of the original (now defunct) wikimaps. So when I learned about tonight’s presentation on “The Power of Maps,” it reignited dreams of cocreating a variety of maps to empower real estate consumers to save billions of dollars annually. It is short notice, but The Real Estate Cafe would like to host an informal TweetUp before or after tonight’s discussion, 7-9pm at Design Studio for Social Intervention to brainstorm about using “the Power of Maps” to turbo-charge our blitz marketing campaign for expired & canceled real estate listings. Why a mapping event? As we blogged recently, more than 20,000 MLS listings EXPired or were CANceled across Massachusetts during 4Q2011. Although potential home buyers CANNOT access those failed listings online through the broker-controlled MLS, individual homeowners could add their properties to collaborative maps designed to EXPedite C2C C2C — consumer to consumer sales — without real estate commissions. That win-win would convert some of the $250 million in lost commissions into consumer savings. That’s just one of our mapping fantasies at The Real Estate Cafe. As the headline of this blog post suggests, we’ve also got ideas about crowdsourcing pending sales and bidding wars, plus some other SECRET projects. We’ve already let one of them out of the bag, our Million Dollar Markdownsmaps — think disaster tourism meets real estate; and we’ve blogged about “creating the opposite of crime maps” in the past, too. 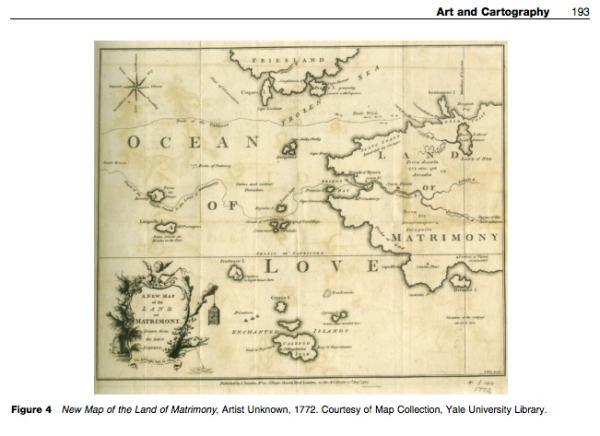 The “Ocean of Love” matrimony map above also reminds us of community maps we’ve tried to seed in the past on Valentine’s Day. If you love using maps to “Challenge the Status Quo or Change the World” (see subsection on page 192 of readings for tonight’s discussion), we’d love to TweetUp with fellow Maptivists and other kindred spirits. If tonight doesn’t work for you, would anyone like to TweetUp again tomorrow, tentatively 3:30pm Thursday @VentureCafe in Kendall Square in Cambridge or meet privately? Our goal is to continue brainstorming innovative strategies to revive EXP+CAN listings and deliver millions in consumer savings? If you’re a DIY homebuyer, we invite you to download our FREE 10 Step “Insiders Guide” to get started.